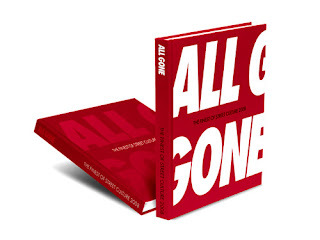 The 2008 publication of "All Gone" is a manifest of the greatest products released worldwide over the course of this year. The book highlights the products in sequential release date order. Each product, within the 256 page limited edition book, is highlight by famous photographers or by original artists. This year the book will be published in vibrant red. This will probably be the closest you will get to it as only 100 publications will be printed.